The following is a very very small list of people who have contributed to the Free software movement and to the development of Linux to this extent.Ofcourse, the list would never be complete:). 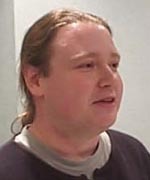 Among the who's who of the Linux kernel,Alan cox is probably one of the bigger whos in the bunch.From his work on the Linux networking code to his current role as as the maintainer of the stable kernel releases,there are few who have meant as much to Linux as Alan. Alan now works for Red Hat, but still has time to hack free software at home ,as well as visit friends and collegues.He seems to have made his peace working for "a vendor". Donald was a big contributer early in the Linux game,writing the code for the Ethernet drivers.He did this while working for NASA at the Center of Excellence in Space Data and Information Sciences as a staff scientist.He was the principal investigator on NASA's Beowulf project -an effort to develop a software distribution to help others build high-performance workstations based on acluster of off-the-shelf processing nodes runing Linux. He is now the Chief Technical Officer of Sycld Computing Corparation. 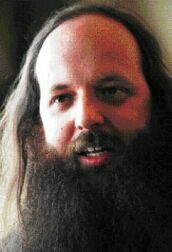 Eric S.Raymond is a long-time hacker who's been observing and taking part in the internet since the ARPANET days in the late 1970's.Several of his open-source projects are carried by all major Linux distributions.The best known of these is probably Fetchmail. Raymond also contributed extensively to GNU Emacs and ncurses and is currently the termcap maintainer-one of those truly thankless jobs that is crucial to do well. In 1997 he posted an essay on the web titled The cathedral and the Bazaar,which is considered a key catalyst in leading Netscape to open up the source code for their browser. Matt welsh is a very personable young man,who is best known as the author of Linux Installation and getting started and running guide.He has been the Linux Documentation Project coordinator,the HOW-TO coordinator and writer,maintainer of sunsite.unc.edu Linux documentation archives and the moderator of comp.os.linux.announce. 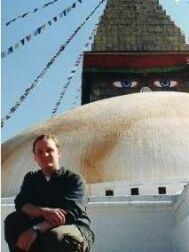 Currently ,he is a Ph.D. student at UC Berkeley ,where he received his masters in December 1999.He is doing research there involving " scalable internet service architecture with a focus on high-performance systems in Java".He is affiliated with the Berkeley Ninja and Millenium Projects. Olaf discovered Linux while writing his masters thesis in mathematics!.He finished the thesis eventually and went on to write The Linux network administers guide.This was his first Linux project and it has since gone to paperback and no doubt sits on many a system administers desk. He has maintained the user space NFS daemon for the past five years.He credits not wanting to pay hundreds of dollars for inferior software as a key factor that drove early Linux development.He currently works for Caldera doing "security and a lot of network stuff,as well as developing an admin tool frame work". Working on Caldera affords him an oppurtunity he did not dream of eight years ago:being paid to work on Linux. 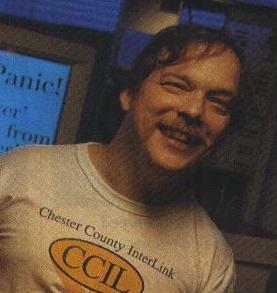 His two most prominent projects are the GNU C Compiler(GCC) and the EMACS editor. GCC is by far the most ported and popular compiler in the world.But, the creation of EMACS earned him the prestigious Grace Hopper Award from the association for computing machinery in 1991.EMACS is an editor, a web browser,a program editor,a word processor etc.,.To most people EMACS is a religion and RS is it's saint! Lars wirzenius is Linus' friend and was also a student at the University of Helsinki at the same time Linux was.He is known through his efforts for the Linux Documentation Project and as moderator for the comp.os.linux.announce newsgroup.The only code he wrote that went into the kernel was that relating to sprintf. He is more into applications than in the kernel. He works for WapIT.Currently his work focusses on the "WAP and SMS gateway called Kannel".He is still involved with the Debian project, maintaining packages. Alessandro Rubini has been part of the Linux community from almost the beginning. He wrote gpm, the mouse server for the Linux console.Attracted to Linux because of it's freedom, his primary programming interest is in drivers.He is author of the vastly popular and brilliant book Linux Device Drivers. 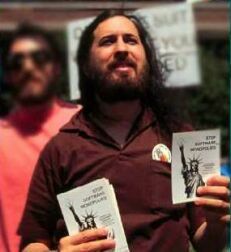 Alessandro is a strong supporter of GNU and the Free Software Foundation. He calls Linux "GNU/Linux" in the speeches he gives advocating Linux. 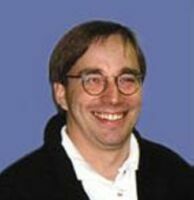 His posting in comp.os.minix on September 91 had long ranging implications.Linus is the metaphoric father of the Linux community, having brought the Operating system into being he kicked out of it's nest and onto the Internet and invited others to try it out and participate in it's development. Writing Linux earned Linus his master's degree at Helsinki Univ.Since then, he has turned kernel maintenance over to Alan Cox.Development is done by many others, yet Linus remains the mainstay of Linux.He makes the final decisions about what will and what will not go into the kernel.His word is law, and no one disputes it. He is presently employed at Transmeta, the creators of Crusoe chip, which is headed for the mobile market. The creator of apache started Apache as an interesting experiment and it is now responsible for running 60 percent of the web sites.Brian has worked on Apache for 5 years, helping to guide the growth of the project along with the others members of the Apache team.